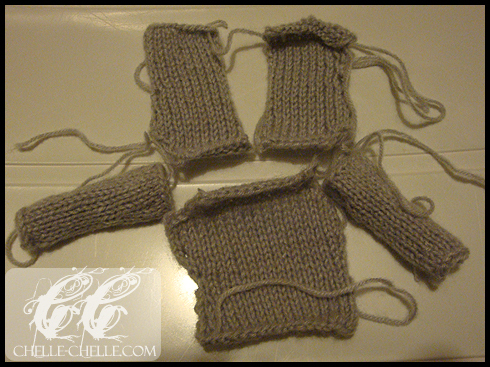 Sweater – Progress Part 2 & Completion! I showed you my first progress photo in my last entry (Sweater Progress – Part 1). Here is Part 2 & the completed Blythe sweater! 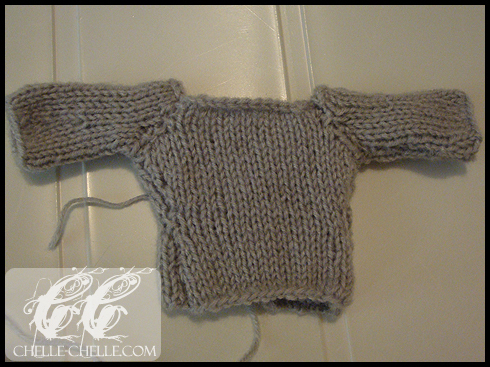 I used size 2 needles, grey acrylic yarn and the Sleeves a Go Go Sweater pattern. Here is all the completed pieces (1 front, 2 sleeves, 2 back halves). This is from this morning at around 2am. And then here’s the completed (sans snaps) sweater on Sophie, my Blythe doll. Her hat is crocheted in worsted weight cream wool that has small light brown and light grey flecks in it. I’ve been working on my first sweater*. I’m using the pattern called Sleeves a Go Go Sweater. So far it’s going well, I got the entire front of the sweater and most of one sleeve done yesterday. I just finished the second sleeve and decided to take a progress photo. 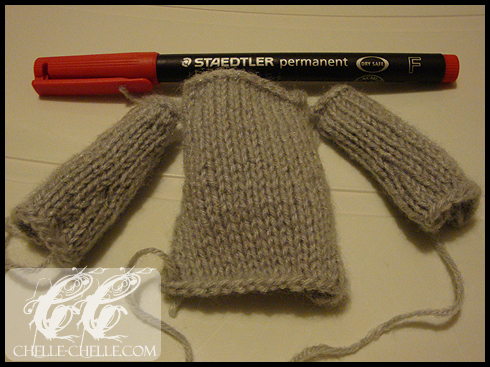 The Staedtler pen is there to show the relative size of the sweater. It’s done on size 2 needles – the smallest needles I’ve worked with so far! 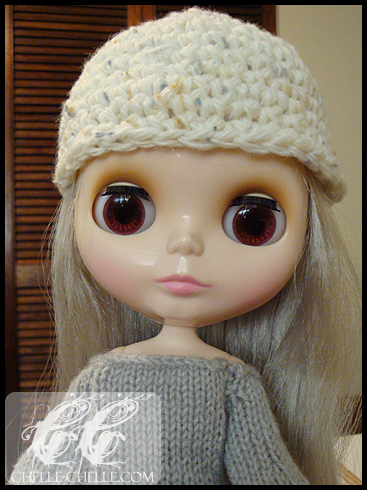 I should get it done by tomorrow and then I’ll get it onto my Blythe doll, Sophie. She needs a wardrobe change soon.